Place a drop of doTERRA Bergamot in the palms of your hands. Rub them together, cup them over your nose, and inhale deeply to relieve feelings of despair and self-judgement. 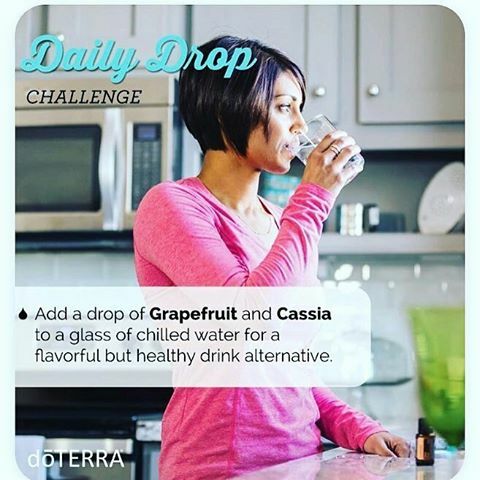 Add a drop of doTERRA Peppermint essential oil to 4 ounces of water. Swish and gargle the doTERRA Peppermint rinse after lunch for an afternoon boost in optimism and a respite from heaviness. Before your next exercise session or athletic event apply doTERRA Frankincense & doTERRA Peppermint essential oils to the bottoms of your feet. You'll experience a cooling and energising sensation that will help you performa at your best. Put two drops of doTERRA Geranium essential oil in the palms of your hands and press them gently into your heart centre before a personal meditation session and let go. Experience the revitalising effects of doTERRA Black Pepper essential oil the next time you are waking up from a power nap. Inhale its aroma for a stimulating wake-up. Rub a couple of drops of doTERRA Lavender onto the bottom of your feet and add a drop onto your pillow before bed for a restful night's sleep. Make your own Yogi tea by adding a few drops of doTerra Clove, doTerra Cinammon, doTERRA Cardamom, doTERRA Ginger, and doTERRA Black Pepper essential oils to a mug of hot water. Add a little raw honey and your favourite dairy-free alternative for the perfect post-Yoga beverage. 1. Fill a bowl with water. 2. Mix in three drops of doTERRA OnGuard essential oil. 3. Add in some sliced apples and stir. 4. Drain the excess water and enjoy! The Daily Drop app is available free of charge direct from doTERRRA for you to run on your iPhone, iPad, or Android smartphone / tablet. One training video and one challenge will be waiting for you to watch when the download is complete. Each day you will receive one new video with an accompanying challenge. Download Daily Drop app for iPhone / iPad. Download Daily Drop app for Android phone / tablet. Multiple Topic Tracks: Enjoy the five different topic tracks avaliable now: Children, Athlete, Emotional Wellness, Spring Cleanse and Lifestyle. Then stay tuned for new tracks! Determine Your Mood: Give the Determine Your Mood Matrix a try. With eighteen different emotions to choose from, you can rank your current emotional state on a scale of 0-5. The customizable emotional scale will then suggest oils and provide videos about those oils for you to use to improve your overall emotional wellness. NEW Sharing Feature: Now you can use the app to share content about essential oil usage with friends and family! The Daily Drop sharing feature allows you to send content through SMS, Facebook Messenger, and email, or to post directly on Facebook and Instagram. Just look for the sharing icon at the bottom of each video page. 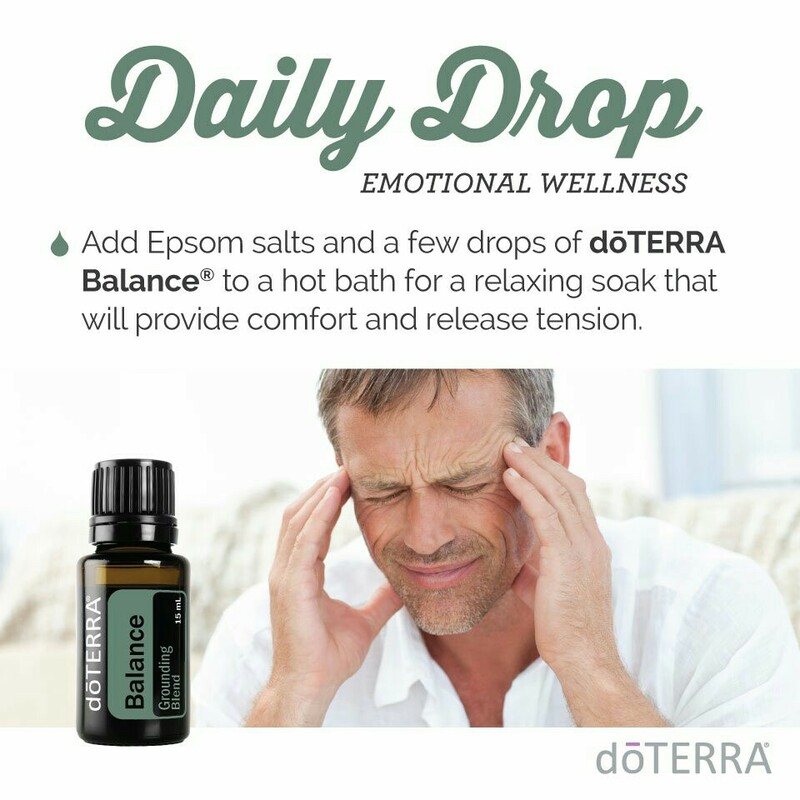 Daily Drop is set of ideas, published daily by dōTERRA, on how best to use essential oils. I use it all the time, as a great source of new ideas on how to use the oils to address health issues, or to help with managing emotions. If the Modern Essentials book and app are my "Bible" of essential oils, then Daily Drop is an easy-to-absorb visual model on effective and fun ways to benefit from the oils, in myriad different ways..